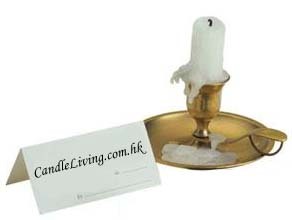 Candle Living was found in 2004 in Hong Kong. It was founded with a passion in the candle of which is the foundation of our company. The aim of our company is to promote an appreication for the decorative and aromatic attribute of candle as well as to provide the best quality candle to our customers. Candle Living provides not only a large variety of candles, but also in exceptional quality and design. Ranging from the most traditional pillar candle, votive candle and taper candle to the most contemporary designed decorative candle and the trendiest aromatherapy candle , you can find it all here in Candle Living. With our experiences in manufacturing high quality candles for world renowned luxuries hotels, prestigious clubs and SPAs (pls see Profile), we produce high quality candles in our brand name for retail as well as wholesale to let everybody be able to enjoy a 5-stars environment at home. With our direct production line in China, we produced and control our products in professional high standard. As a responsible company, your concern is our concern. That is why we do not just produce any candle but all of our products are through very high quality control and quality check before reaching to our customers. Give into your senses, and indulge yourself in our flavorful fragrance and romantic atmosphere of candle! Custom-made/design candle production for event decoration, promotional gifts and wedding favors.